Download PDF file of "The “End State” Fallacy: Setting the Wrong Goals for War Fighting"
The U.S. involvement in the fighting in Afghanistan and in four wars in the Middle East—Iraq, Libya, Yemen, and Syria—has led to a necessary focus on the military dimension and the tactical need to defeat given extremist movements and “enemies.” This focus, however, cannot bring stability either to the country at war or to the countries around it, and this leads almost inevitably to questions such as “how does this war end?” It also leads to talk about how to shape the “end state” of a given conflict. The United States and its allies do need to look beyond the fighting, and beyond tactical victory. They also, however, need to understand that they cannot control the end state, that conflict termination agreements almost never shape the aftermath of a conflict even when it actually ends, and that the real world challenges of moving from conflict to stability are far greater and involve far longer time periods. There are reasons why virtually every war in Europe has been the prelude to the next regardless of the peace settlements involved and the desired end state. As for the United States, it could not succeed in shaping the end state of its own civil war, and has spent a century trying to come to grips with its aftermath in terms of human rights. No one—especially Woodrow Wilson—could control or anticipate the real world end state of World War I. The well-intentioned goals of the United States at the end of World War II did reject the Morganthau Plan’s dracononian end state for Germany; and the efforts of the United States, Britain, and other states had many positive effects. They did not, however, prevent the Cold War, nor did they bring global peace. The U.S.-led victory in the first Gulf War did not bring a stable end state any more than the U.S. “victories” in Afghanistan from 2001-2014, or the U.S. invasion of Iraq in 2003 and the fighting that followed from 2004-2011. 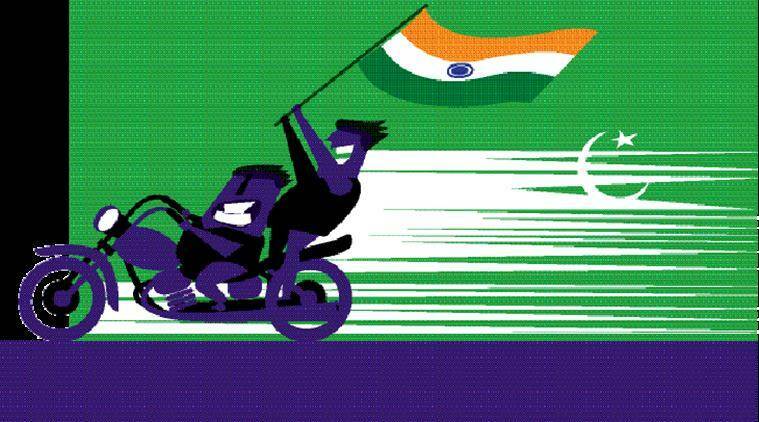 Loud jingoism and war talk erode India’s credibility, distract government from urgent task at hand. “Cry havoc! And let slip the dogs of war!” exclaims Mark Antony at the funeral of Julius Caesar in an attempt to rouse feelings against the assassins and incite violence across Italy. While anguish over the loss of 18 jawans killed in the Uri terror strike was understandable, the sub-continental “dogs of war” were surely straining at their leashes in its aftermath, as our TV studios aired shrill, blood-curdling and often maniacal tirades, demanding instant revenge for the dawn attack on the Indian army camp. The cacophony having subsided somewhat, one can hear oneself think. While participants in TV talk-shows speak in their individual capacities and carry no responsibility, even prominent public functionaries did not pause before making utterances which can only be described as provocative and “war-mongering”. At the risk of inviting the ire of “super nationalist” patriots baying for Pakistani blood, the author would like to highlight a few harsh military realities of the present situation. Firstly, the euphemism cross-border terrorism, coined by Indian national security establishment to describe what were clearly acts of war by Pakistan has repeatedly come back to haunt. Following the attacks on the World Trade Centre in 2001, President Bush had declared that the terrorists’ actions were acts of war and gave the US the right to act in self-defence under the UN Charter. While dubbing these acts cross-border terrorism may have given India an excuse to exercise strategic restraint, we compounded this folly by describing the perpetrators as non-state actors, providing a cast-iron alibi for Pakistan, which went a step further and claimed they were Kashmiri freedom fighters. How many troops are needed to defeat an insurgency? This deceptively innocuous question is laden with political and military peril. The answer is, of course, that it depends. Some contend that a precise ratio of counterinsurgents to insurgents will lead to victory, while others argue that force strengths are irrelevant to success or failure. In the wake of America’s decidedly ambivalent experiences in Iraq and Afghanistan, the debate remains unresolved. There have been several recent analytical efforts focused on addressing the question. They general agree that there is indeed a positive relationship between manpower and outcome in insurgencies. Despite the promise of using empirical research to address the complexities in counterinsurgency, however, this effort is languishing due to a lack of attention and resourcing. It is not clear where the notion originated that force ratios mattered in counterinsurgency. It appears to have become an article of faith during the British campaign in Malaya, although Sir Robert Thompson — a British staff officer in that conflict and a counterinsurgency theorist influential during the Vietnam War — subsequently claimed that the rule-of-thumb that 10 , 12, or 20 troops were needed per 1,000 insurgents to succeed was the invention of a journalist. The relevance of force ratios made a comeback in the mid-1990s, albeit measured in a different way. Seeking a way of projecting force requirements for sustained stability operations, RAND analyst James T. Quinlivan looked at 13 historical cases and concluded that success required 20 troops were needed per 1,000 local inhabitants. Defining ratios by the number of troops per population became known as force density. The political volatility of force requirements became vividly apparent during the lead up to the U.S. invasion of Iraq in 2003. U.S. Army Chief of Staff General Eric Shinseki told Congress that “several hundred thousand” American troops would be necessary to stabilize Iraq following the fall of Saddam Hussein. This drew a quick rebuttal from Deputy Secretary of Defense Paul Wolfowitz, who testified that Shinseki’s estimate was “wildly off the mark.” The public disagreement led to Shinseki’s premature retirement and replacement as Army Chief of Staff. The Russia-Pakistan joint exercises raise many questions. New Delhi has to rebuild ties on its strengths and common concerns with Moscow. Under President Vladimir Putin, Russia has shown assertiveness in international affairs. It has taken a clear position on opposing Western intervention and militarist regime-change policies in Iraq and Libya and now in Syria. Russia has used counter-force in the fight against the Islamic State in backing Syrian President Bashar al-Assad. It retook the province of Crimea that it had gifted Ukraine in 1954 due to (Soviet) historical reasons. This invited unilateral sanctions on Russia from the U.S. and the European Union. Demonised by the West, Russia has become a strategic partner of China and they have significant convergence of interests. India’s search for alternatives to this regional forum must quicken. Rawalpindi believes that restoring historic economic connectivity with India is a threat to Pakistan. Prime Minister Narendra Modi’s decision to skip the South Asian summit in Islamabad next month is, in essence, about the deteriorating relationship with Pakistan. It also underlines the growing irrelevance of the South Asian Association of Regional Cooperation for India’s regionalism. Irrespective of India’s future relations with Pakistan, the Modi government’s search for alternatives to SAARC will now acquire a new momentum. 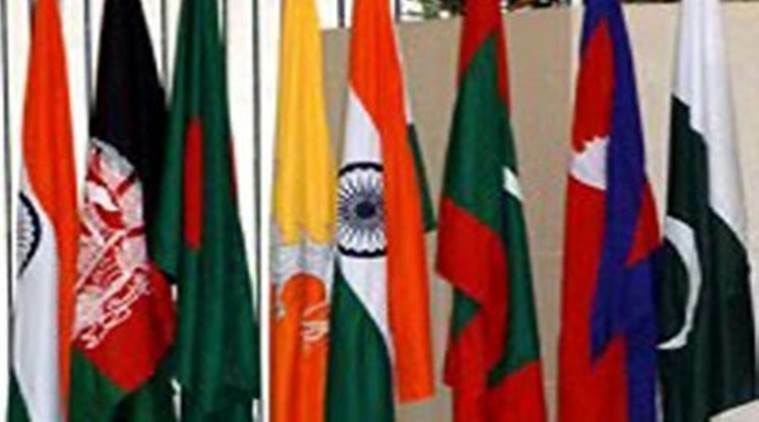 For too long, India had conflated its regionalism with SAARC that was established three decades ago at the initiative of Bangladesh. While Delhi and Islamabad were both wary of the move in the mid-1980s, it was the inward economic orientation of the Subcontinent that limited possibilities for regional cooperation. As the Subcontinent launched economic reforms in the 1990s, regional integration appeared a natural consequence waiting to happen. As the South Asian states opened up to the world, it seemed sensible to connect with each other. But that was not how it turned out. Unlike the Wagah candle-lighters, I believe that Pakistan has no locus standi in the Kashmir Valley. In Delhi, the attitude of politicians, policy-makers, journalists and activists towards Pakistan has historically veered between extreme trust and extreme distrust. There are those who take candles to the Wagah border every August 14-15, insisting that we are one people with the same culture, separated by Partition and malign governments (both ours and theirs). There are others who see Pakistan (and Pakistanis) as implacable enemies, who divided the motherland in 1947 and now want to break up what remains of India into many parts. The first kind of Dilliwallah demands “uninterrupted and uninterruptible” dialogue with Pakistan, the second kind demands that we isolate Pakistan internationally, squeeze it economically, and, if required, attack it militarily. Living outside Delhi, I find this obsession with Pakistan unhelpful to our short as well as long-term interests. For one thing, it makes us a mirror image of them. From Jinnah onwards, the Pakistani establishment has been consumed by hatred of India. Since the 1971 war and the loss of what was East Pakistan, the Pakistani army has been driven by the desire to get even with India. So have the religious clergy, the other dominant force in Pakistan today. The self-definition of the Pakistani elite is: We are not, and we are against, India. No one writes like this any more. Charles Dickens would approve. After all he wrote those immortal lines. Pre French Revolution Paris and London were twins of their unfortunate selves. Envy, greed, lust, subjugation, hopelessness and despair; never were two cities so conjoined in misery. Certainly not until the late sixties when Pakistan decided to move its national capital from Karachi to Islamabad, a triangular piece of land facing the Margalla Hills. The city is no longer triangular, concrete having taken its toll in making edifices, which outdo each other in a manic nod to mediocrity. What clinched the location of Pakistan’s new capital was not just what was supposedly wrong with Karachi, but the location’s proximity to Rawalpindi, the home of General Head Quarters, Pakistan Army. GHQ, Rawalpindi is all that Islamabad should have been, but is not. Islamabad should have been the seat of legislative, executive and judicial power in Pakistan. Let not Google tell you otherwise. A building does not a Supreme Court make. And neither does a Parliament full of elected representative lend gravitas to an otherwise dysfunctional nation. India’s goal should be create more ISRO-like organisations in other areas – R&D driven organisations that develop important strategic and commercial products – and also help build private R&D and manufacturing ecosystems around them. Indian Space Research Organisation’s (ISRO) former chairman Dr K Radhakrishnan spoke at the Fifth Foundation Day of Pune International Centre and highlighted its progress, achievements and future plans. ISRO has made tremendous strides over the past four decades in research and development (R&D) led innovation and has succeeded in developing key technologies such as the cryogenic propulsion system. One thing that stood out during the lecture was the extent of private sector participation in R&D and manufacturing, and the manufacturing ecosystem. Dr Radhakrishnan said that 80 percent of the value addition of ISRO’s workhorse launcher, the Polar Satellite Launch Vehicle (PSLV), comes from the private sector. It is important to note that the PSLV is one of the most reliable space launch platforms in the world, with 34 successful launches in a row – at one of the lowest launch cost per payload weight. These private industry contributions for building the PSLV come from more than 120 large, medium and small companies. ISRO acts as the designer and system integrator, and assembles the final rocket at Satish Dhawan Space Centre, Sriharikota. I had known about the industry participation, but the 80 percent number was indeed surprising. It was great to note the private sector’s role in India’s space programme. ISRO is thus not only delivering great rockets and satellites technology, but also helping build an aerospace R&D and manufacturing ecosystem in India. This is critical. Over the past 50 years, National Aeronautics and Space Administration (NASA) has played a key role in driving the development of a similar ecosystem in the US. The advances made in space technology around materials, propulsion, guidance, navigation and other areas have many direct and indirect technology benefits in other sectors. ISRO should follow a similar example. Is it finally peace time in Afghanistan? Cutting peace deals with warring factions is generally considered one step forward in the direction of peace. But what if this one step forward for peace is actually two steps backwards for justice? These are the questions that are being asked about the peace deal that has been brokered in Afghanistan – between the government of Afghanistan and the militant group, Hezb-e-Islami. Ordinarily, the path towards peace entails, at the basic level, reconciliation between all the factions involved in a conflict. In the case of Afghanistan too, and as persistent efforts at getting Taliban to the table of talks have come to show, getting the major stakeholders on the same page lies at heart of ensuring effective and sustainable reconciliation. However, equally pertinent are concerns related to justice. Both theoretically and practically, balancing peace with justice has not been a plain sailing. In fact, most often, these two components which are equally essential for achieving and sustaining effective reconciliation have thrown up major dilemmas. While, ideally, both peace and justice should go hand in hand, reinforcing each other in the process, their actual realization is often far off this ideal mark. In fact, in many cases, instead of working in tandem peace and justice appear divergent in the means they employ to achieve the same goal of reconciliation. Approaching a shared goal in different ways, the end product of such a forked path, expectedly, leads nowhere; at least not anywhere close to what is expected. Afghanistan, it appears, is charting the same forked path. In efforts to put an end to conflicts that have wrecked the country for over four decades, the Afghan government has brokered a peace deal with Gulbuddin Hekmatyar led Hezb-e-Islami (HEM), allowing in return of cessation of violence from this militant group full immunity from prosecution against the previously committed war crimes. More than a week after the terrorist attack on an Indian army base in Uri, close to the Line of Control (LoC), the de facto border between Pakistani and Indian-administered parts of Kashmir, on the Indian side, a familiar pattern has returned. Which is to say: a group of terrorists crossed the Line of Control, attacked and killed Indian soldiers, Indian officials cite specific evidence they believe links the terrorists to a group domiciled in Pakistan, and the Pakistani government then bristles that such an allegation would be made without a complete investigation. In this latest instance, within hours of the Uri attack, the Indian director general of military operations offered that he suspected the Pakistan-based terrorist groupJaish-e-Muhammad (JeM) to be responsible. JeM was the group held responsible for a remarkably similar attack on the Indian army base in Pathankot, Punjab, on January 2, 2016. Later in the week, presumably based on further evidence, unnamed Indian security officials pinned the blame for Uri on Pakistan-based terrorist group Lashkar-e-Tayyaba (LeT). Pakistan has categorically rejected any blame for the attack. The Pakistani foreign office spokesperson, Nafees Zakaria, offered that “Pakistan has nothing to gain” and that it was India’s “habit” to accuse Pakistan of involvement after terrorist attacks. Editor's Note: This article is unique for RealClearDefense for its length and breadth on such a seemingly niche topic of great interest and passion to all those, civilian and military, that served through blood, tears, and heartfelt passion in Afghanistan whether during the original Helmand Valley project, or over the last fifteen years, to make Afghanistan a better, self-sustaining and independent country. This is the first installment of three that will run through Wednesday. The first time I saw Kajaki was in March 2006. I was working in Mongolia at the time with the U.S. Agency for International Development (USAID) and was asked to go into Afghanistan on a troubleshooting assignment. Our biggest contractor, the Louis Berger Group, was on a Kabul-to-Kajaki run to service its field crews, and I hitched a ride on their Bell 212 helo to lay eyes on one of USAID’s oldest and biggest infrastructure projects. For the last 23 years, I had worked as a tramp U.S. Foreign Service Officer. USAID had sent me on assignment to 49 countries in Africa, the Middle East, Europe, Asia, and Latin America, and I had seen a lot of dams. What I didn’t know then was that this one was different. Over the next six years, I would spend 31 months in Afghanistan troubleshooting development projects, especially Kajaki. Refueling the helo en route to Kajaki in 2006, with a contract shooter. By this time road access to the dam had mostly been cut off by Taliban forces. Jeff Goodson, anonymous Helo Pilot. Militarily engaging a nuclear Pakistan might bring war to the country’s mainland: are we prepared to pay that price? File photo of Indian special forces commandos. While the jury is still out on whether the Pakistani state had a direct role in the September 18 attack on an army camp in Uri, the fact that any of the terrorist groups that might conceivably be involved are all based out of Pakistan has revived the demand among sections of the Indian strategic community for military reprisal against targets across the Line of Control (LoC). Key functionaries of the Narendra Modi government and ruling Bharatiya Janata Party have fuelled ‘popular’ demands about giving a “fitting response” to Pakistan by declaring that “the days of strategic restraint are over” and that “those behind this despicable attack will not go unpunished”. These promises, made within hours of the incident, fed expectations of an imminent military strike against Pakistan. The reason why the Modi government continues to be undecided about a military response to Pakistan and may even now be dialling down its rhetoric is precisely because there are no sure-shot, or even reasonably good, military solutions readily available to it. Let’s break down each of the ‘popular’ military options that India has against Pakistan and see how feasible they are. The first option is a nocturnal raid by Indian para commandos across the Line of Control (LoC) to take out terror camps in PoK. They have said Pakistan's international isolation is a myth and that it is India which risks being isolated. After repeated terror attacks on Indian soil, Indian leadership's strong stand after Uri is seen as move away from diplomatic channels. Reacting to Prime Minister Narendra Modi's strong message against terrorism especially from across the border, Pakistan diplomats are working overtime to mount a counter. Some of them even suggest that Pakistan's global isolation is a myth and that it is India that risks being isolated. In a report published in Pakistan-based Dawn, an unnamed diplomat has been quoted as saying that India won't risk a war with Pakistan as it would adversely effect its economy. "There will be no war. We have no intention of starting one and India also realises that a war at this stage will destroy its economy." Interestingly, the Karachi Stock Exchange had plummeted last week after small investors dealing with 'penny stocks' began panic selling - reportedly due to military drills being carried out in the country. Tensions between India and Pakistan have been on the rise since the attack on an army base in Uri (Jammu and Kashmir) on September 18. Four terrorists carrying grenades and food with Pakistani labels were gunned down, but 18 soldiers were martyred as well. India reacted sharply with PM Modi promising action against the perpetrators of the attack. In his monthly radio program on Sunday, he likened the Uri attack to the 1965 war and reposed faith in the Indian Army. "There is a lot of value to the anger that people of the country have. This is a symbol of the country's awakening," he said. "This anger is of the kind of 'do something'... When 1965 war (with Pakistan) broke out and Lal Bahadur Shastri was leading the country, similar was the feeling, anger in the country. There was fever of nationalism. Everybody was keen to do something." Will Pakistan Dare Push The Nuke Button? Islamabad must have proceeded with this attack assuming that New Delhi will not respond, at least going by the past behavior. The White House has barred Pentagon leaders from a key talking point when it comes to publicly describing the military challenges posed by China. In February, Defense Secretary Ash Carter cited the "return to great power of competition" in the Asia-Pacific, "where China is rising." Similarly, Chief of Naval Operations Adm. John Richardson characterized China and Russia as rivals in this "great power competition" in his maritime strategy. But a recent directive from the National Security Council ordered Pentagon leaders to strike out that phrase and find something less inflammatory, according to four officials familiar with the classified document, revealed here for the first time by Navy Times. Obama administration officials and some experts say "great power competition" inaccurately frames the U.S. and China as on a collision course, but other experts warn that China's ship building, man-made islands and expansive claims in the South and East China seas are hostile to U.S. interests. This needlessly muddies leaders' efforts to explain the tough measures needed to contain China's rise, these critics say. “Their explanation is an exercise in nuance and complexity, purposely chosen by the administration to provide maximum flexibility, to prevent them from committing to a real structural approach to the most important national security challenge of our time,” said Bryan McGrath, a naval expert and retired destroyer skipper. The Obama administration, however, believes that the term “great power competition” oversimplifies a complicated relationship with a rising superpower. At the G20 Hangzhou summit earlier this month, China made clear that Russian president Vladimir Putin was a top guest. Both China and Russia claim that their bilateral relations are the ‘best ever’ and demonstrate an ‘unprecedentedly high level of trust’. Putin described the relationships as a ‘comprehensive partnership and strategic collaboration’. That tension is manifested in Russian positions on the South China Sea. The first is that it takes no side in disputes and supports freedom of navigation, including overflight and the peaceful settlement of disputes directly between the parties concerned on the basis of international law. But Russia concurrently opposes the involvement by third parties outside the region because their involvement, according to Putin, ‘will only hurt the resolution of these issues… [and] is detrimental and counterproductive’. The government in Beijing claims that China is the long-suffering victim of Western powers, Japan, and other countries. In this narrative, China’s rulers bear hardly any faults. Without any sense of irony, the People’s Republic of China (PRC) repeats its Orwellian twist that China is the “victim” in the South China Sea, though it is the strongest claimant and bullies others to submit to China’s control of areas by using militarized, environmentally-damaging claims to fragile reefs, rocks, islands, and maritime areas within an egregious “nine dash line.” Cries in China that it is the “main victim” became shrill before the Permanent Court of Arbitration (PCA) at The Hague ruled on July 12 in favor of the Philippines against the PRC over maritime claims (not sovereignty) in that sea. Manila sought the peaceful resolution of disputes under the United Nations Convention on the Law of the Sea; under the Chinese narrative this was a grave injustice. Instead of stressing principles for a rules-based international order, Beijing repeats its Sino-centric script, which can be pervasive and insidious even outside geopolitics. During the Olympic Games in Rio this summer, some in China played the “victim” game by blaming allegedly anti-China foreign judges for the results when China won less than a gold medal. The PRC propaganda machine manipulates messages by citing a so-called “century of humiliation.” In a self-serving story supposedly speaking for the people, the PRC’s English-language mouth-piece, China Daily, used this convenient definition this past August: “For many Chinese, the ‘century of humiliation’ started with the First Opium War (1840-1842) and lasted until 1949 when the People’s Republic of China was founded.” Outside of China, news reports and commentators also have cited China’s characterization of entitlement and victimization. The deployment of BrahMos missile is bound to increase the competitiveness and rivalry between China–India relations and will have a negative impact on the stability of the region. The BrahMos is a new game piece in India’s tense relationship with China. China claims parts of Arunachal Pradesh as its own and both sides have contesting claims on the Line of Actual Control (LAC), which is the de-facto border between the two countries. China has warned India that increasing troops presence and the move to deploy BrahMos cruise missiles in Arunachal Pradesh can escalate tensions on the border. Chinese People’s Liberation Army (PLA) has strongly reacted against this move of India. India deploying supersonic missiles on the border has exceeded its own needs for self-defense and poses a serious threat to China’s Tibet and Yunnan provinces. Military buildups along the Sino-Indian border have increased recently as last month India deployed nearly 100 tanks to the Ladakh region. In reaction, Beijing cautioned of possible economic consequences. The BrahMos cruise missile is stealthy, fast and extremely difficult to shoot down. The BrahMos is a supersonic cruise missile which can be launched from submarines, ships, aircraft or land. It can carry warheads weighing up to 300kg, and strike targets on land and at sea. It has been in service with the army since 2007 and is currently being tested for use by the Air Force’s Sukhoi-30 fighters. It also has become a point of controversy in a complicated web of overlapping alliances between India, China, Russia and potentially Vietnam. Nevertheless Vietnamese Navy isn’t going to match China’s rapidly expanding fleet any time soon. But small Vietnamese ships with BrahMos missiles could pose a major threat to China’s larger military vessel. Therefore, India may attempt to cultivate an alliance with Vietnam in order to counterbalance China. Chengdu J-20, The Chinese Raptor? Nate “Buster” Jaros says China will have a fifth generation fighter, and its development of the J-20 (amongst other fifth gen platforms) is significant. If you haven’t been paying much attention to the jet fighter news lately, you may have missed something big. In fact, it doesn’t get a lot of press and over the past couple of years this new emerging threat really hasn’t been on anyone’s, ahem…radar, much at all. The J-20 is still shrouded in secrecy, and the political closed doors of modern China are not saying much either. I don’t blame them. They are catching up in technology, and in this case fighter technology, and are committed to not being left behind. China will have a fifth generation fighter, and its development of the J-20 (amongst other fifth gen platforms) is significant. Let’s take a closer look at the J-20, based on what little information is out there today. At first glance the J-20 looks kind of like an F-22 Raptor. Why wouldn’t it? The Chinese have beencopying Russian and American technology for decades. In some cases they have even improved on the designs. In the case of the J-20, you may have forgotten that a few years ago, terabytes of classified US documents were lost or stolen by the Chinese. These documents were essentially the “blueprints” for the F-35, and U.S. stealth technology. From that breach, it is surmised that China has been able to piece together the basic tenets of stealth technology and apply them to its modern aircraft designs. Tsai Ing-wen is new to the job and the strain is beginning to show. Elected president of Taiwan in a landslide victory, she took office in May, buoyed by high approval ratings. Yet in a few short months, Tsai’s popularity has plunged by 25%. The reason may be summed up in one word: China. Suspicious that Tsai’s Democratic Progressive party, which also won control of parliament, harbours a pro-independence agenda, Beijing suspended official and back-channel talks with its “renegade province” and shut down an emergency hotline. More seriously, for many Taiwanese workers, China also curbed the lucrative tourist trade, which brought millions of mainland visitors to the island during the accommodating presidency of Tsai’s predecessor, Ma Ying-jeou. Cross-strait investment and business have also been hit. Tsai faces contradictory pressures. The public wants the benefit of closer economic ties with China but Beijing’s intentions are rightly distrusted by a population that increasingly identifies itself as Taiwanese, not Chinese. Given President Xi Jinping’s ominous warnings that reunification cannot be delayed indefinitely, China’s military build-up and hawkish suggestions that Beijing may resort to force, Taiwanese ambivalence is wholly understandable. This dilemma – how to work constructively with a powerful, assertive China without compromising or surrendering national interests – grows steadily more acute. It is shared by states across the east and southeast Asian region. From Indonesia and the Philippines to Vietnam, Japan, Seoul, Malaysia and Singapore, the quandary is the same. But the answers proffered by national leaders are different and sometimes sharply at odds. The China dilemma is felt strongly in Washington. The US has striven in recent years to strengthen Asian alliances, increase trade and raise its regional military profile – Barack Obama’s so-called rebalance or pivot to Asia – in a bid to contain and channel China’s ambitions peacefully. But analysts say the pivot appears to be in trouble. For Europeans fixated on Syria and immigration, this may not seem especially worrying or relevant. That’s shortsighted. If Obama and future US presidents get China wrong, the resulting damage could be global, threatening the security and prosperity of all. Counterinsurgency theory—the theoretical underpinnings of U.S. COIN doctrine, especially as expressed in the “Strategic Principles” and “Counterinsurgency Paradoxes” sections of Field Manual 3-24, Insurgencies and Countering Insurgencies—shares much in common with popular change models for transforming organizations. In this new MWI Report, Non-Resident Fellow, LTC Douglas A. Pryer writes that since the human dynamics underlying all group competitions are similar (whether at the nation-state or small organization level), all leaders can benefit from applying COIN theory to achieve significant organizational change in order to “win.” Conversely, he argues, military theorists and doctrine writers could improve both COIN theory and U.S. doctrine by studying and adapting elements of change models developed for civilian leaders. Indeed, it is likely that our nation’s ineffective counterinsurgencies in Vietnam, Iraq, and Afghanistan would have charted a better course if our doctrine during these conflicts had included key aspects of popular change. . .
Read or download full report here. The Asian nuclear order is increasingly coloured by complexity and instability. It’s an order that’s still largely shaped by subregional drivers, national priorities and a code of voluntary restraint rather than by any region-wide ‘managed system’. But geopolitical and technological shifts are pulling the order in new directions. THE STAGE IS SET — Hillary Clinton and Donald Trump will face off tonight in the highly anticipated first debate at Hofstra University. But will they talk cyber? Moderator Lester Holt of NBC News will devote two of the debate’s six 15-minute segments to the topic of “Securing America,” and national security discussions tend to include at least glancing cybersecurity references. Clinton and Trump have both promised more aggressive responses to cyberattacks and improvements to America’s digital shields. Clinton has pledged to do more to “make sure we are well defended and able to take the fight to those who go after us,” and she has said that she would “make it clear that the United States will treat cyberattacks just like any other attack.” If elected, Clinton promised on Aug. 31, “We will be ready with serious political, economic and military responses” to cyberattacks. Meanwhile, Trump has vowed to “make it a priority to develop offensive and defensive cyber capabilities” and said that one of his first acts as president would be to order a “thorough review” of U.S. digital defenses. But the New York businessman has, at times, shown a lack of deep knowledge about the subject. In two separate interviews with The New York Times, Trump said the U.S. was “obsolete in cyber” and argued that “we don’t even know where [attacks are] coming from.” Cybersecurity experts strongly dispute both opinions. Follow MC’s social media accounts and keep checking the POLITICO website for any cyber stories that emerge from the Hofstra debate hall. HAPPY MONDAY and welcome to Morning Cybersecurity! What’s the one cybersecurity topic you’d most like to see addressed during tonight’s debate? Send your suggestions for Lester Holt and your thoughts, feedback and tips to egeller@politico.com, and be sure to follow @ericgeller, @POLITICOPro and@MorningCybersec. The full team info is below. Patrick Lin, Ph.D., is the director of the Ethics + Emerging Sciences Group at California Polytechnic State University, San Luis Obispo, where he is an associate philosophy professor. When cyberattacks come from abroad, there’s special panic. We often imagine them to be the opening volleys of a cyberwar that could escalate into a kinetic war. For that reason, hacking back—or cyber-counterattacking—is presumed to be too dangerous to allow. The legal case against hacking back is that the use of force is a powerreserved only for governments, not private individuals and companies. The moral case is that it invites retaliations that can strain political and economic relationships or worse. But this is too quick. A deeper ethical analysis reveals reasons why hacking back may not be as problematic as believed. Consider this analogy: Imagine that state-sponsored parties—maybe explorers or military reconnaissance—from two adversarial nations cross paths in unclaimed or contested territory, such as the Arctic region. Nationalism runs high, words are said, and shots are exchanged. Some people are killed. Is this the beginning of a war? As the world becomes more and more dependent on technology, it also becomes imminently more hackable. That’s where DARPA’s latest breakthrough comes in. The advanced research defense firm is working on a new type of computer code that will (hopefully) prove to be essentially hack-proof. DARPA tested out the security mechanism by allowing a team of hackers six weeks to try and take control of a drone. They even gave the team extra access to the hardware (which a hacker typically wouldn’t have) and they couldn’t bust through. Wired reports the computer code underpinning the hardware was essentially unhackable with current technology. The report notes the code is “as trustworthy as a mathematical proof.” The programming approach is known as formal verification, and it’s written informally and evaluated based on whether it works or not. The language follows step-by-step, logically, and can be tested just like a mathematical proof. So why is this formal verification essentially hack-proof? Because most hacks are made by exploiting bugs and errors in code. Code that’s gone through this process, with this approach, is supposed to be bug-proof. So there are no holes for hackers to exploit, because the code just works. The code is hard to pull off and requires a ton of work and testing, and it’s only in the early stages, but the benefits are huge. The idea would be to use this coding technique for the underpinnings of things like public utilities and home automation (you know, stuff you really don’t want to be hacked and taken over).